Trinket Leaves are intended to hold anything you wish. The perfect gift for him or her, to hold earrings, jewellery, coins, keys, plectrums, or just for decoration. 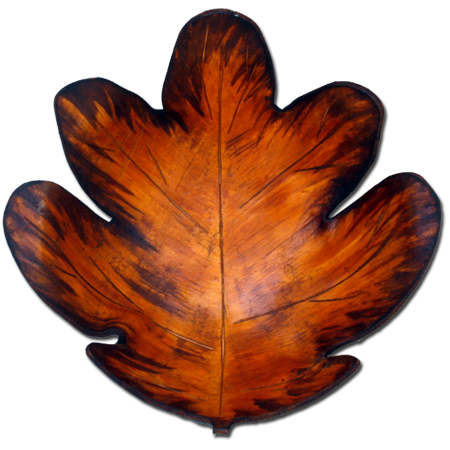 Each leaf is unique so you will always be assured that yours will be an original work. An original bowl, made especially for you, using the colour combinations you choose. 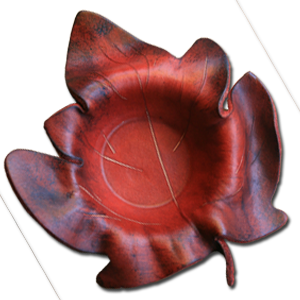 Your bowl will not be an exact replication of the one you choose, but will be the same shape and colour combinations. Your bowl will be a true individual. Leather has been used for drinking vessels since Viking times but, in this form, was quintessentially English. It was used at the same time as glass, pewter and pottery. Cheaper than glass and pewter, light in weight and not as breakable as pottery. The Hidebound produce range goes to the heart of the original British tradition, yet all our leather luxuries are intended for today's use and enjoyment. 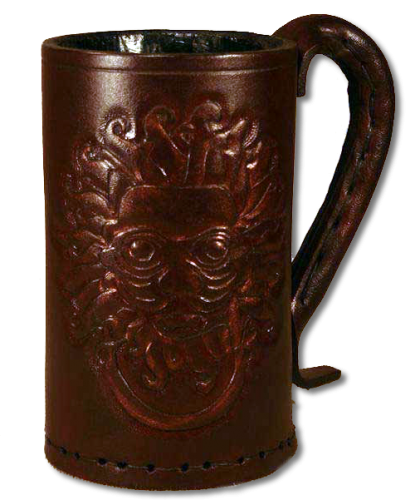 For more information regarding the History of the Leather Drinking Vessel, click here.